Get to know about one of the best US Poker sites with this unbiased review! We give you an access to the latest offers from Bovada Poker! Bovada Poker, a popular spin-off of Bodog Poker, came into existence in the year 2004 and ever since its inception it has been the best pick among Poker fanatics in the United States. Apart from drawing the highest USA traffic of Poker players, this brand is also know for entertaining gamblers with its popular Casino and Sportsbook. Speaking of Bovada Poker in particular, this Poker Room caters to the needs of every Poker lover by offering almost all Poker variants and hundreds of Poker tournaments to play every week. The most significant features of Bovada Poker Software are the Anonymous Tables and Zone Poker which are explained later in the article. To give a boost to your game-play, this Poker brand also offers plethora of lucrative bonuses and promotional offers like Sign up Offer, No Deposit Bonus, Reload Bonus and a lot more. Earlier Bovada was licensed and regulated by the Kahnawake Gaming Commission but in 2016 it lost its status. Thus, any Poker affiliate site claiming that Bovada Poker is licensed and regulated by the Kahnawake Gaming Commission (KGC) is either deliberately misleading you or haven't really updated their site in years. Although Bovada Poker cannot boast about its license to prospective players but that doesn't stop us from considering it as one of the legit brands. Speaking from personal experience, we've been staking real money at this platform from quite sometime and haven't seen any scandals or delayed payouts. The Poker Software of Bovada is not rigged and thus, you can expect a 100% fair gaming environment at this platform. Bovada Poker is restricted in all the countries except the USA. Bovada Mobile Cash Games – Enjoy a whole lot of Poker cash games offered by Bovada from your mobile device irrespective of in which corner of the United States you are. For a player looking forward to enjoying some instant action with real money chips in play, Bovada Cash Games are the perfect pick and with these being available on the move makes it more entertaining. Bovada Mobile Zone Poker – Bovada Zone Poker is now available straight from your mobile device. Thus, play your favourite Texas Hold'em, Omaha Hi and Omaha Hi/Lo without spending any time on waiting for the folded hands to end or new cards to be dealt. Bovada Mobile Poker Tournaments – Both one-table and multi-table tournaments can be enjoyed via mobile devices when playing at Bovada Poker. Some of the most played Poker series include the Weekly 100K Guaranteed, Super Millions Poker Open and Jackpot Sit and Go's. 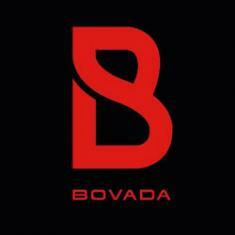 When you play Poker at Bovada using your iOS operated mobile device, no mobile app download is required. All you need is a an iPhone (version 4 and up) or a compatible iPad to login directly via your mobile's browser. Alike iOS devices, no download is required for Android-based smartphone or tablet devices also. To play Poker games at Bovada via your Android devices, all you need to do is navigate to the website via your mobile's browser and use the same credentials (username and password) if you are already a registered member. If not then sign up for a real money account and start playing for real cash once you make your first successful buy-in. – Enjoy a whole lot of Poker cash games offered by Bovada from your mobile device irrespective of in which corner of the United States you are. For a player looking forward to enjoying some instant action with real money chips in play, Bovada Cash Games are the perfect pick and with these being available on the move makes it more entertaining. The Bovada Poker Software is a multilingual software which is available in English, Spanish, Portuguese and Simplified Chinese languages. Also, this Poker software exhibits Anonymous tables and downloadable hand history along with the ability to play at up to 15 tables simultaneously. Login to your Bovada account. Head to the 'Poker' platform of this brand. Click on 'Play Poker' tab. Start the Poker download by clicking on either 'Download for MAC' or 'Download for Windows' as per the operating system supported by your laptop/desktop computer. Run the installer on your system in order to install the Bovada Poker Software. You are all set to start your journey at this Poker Room. this Poker software exhibits Anonymous tables and downloadable hand history along with the ability to play at up to 15 tables simultaneously. Hundreds of Poker tournaments await you at Bovada Poker wherein huge prize pools are up for grab along with deep player pools. Bovada Poker is one of the best US Poker rooms because no other brand can offer such an extensive list of Poker games and tournaments. Not just this, but Bovada Poker also outlines a comprehensive guide on 'How to Play Poker' which will come in handy specially for novice players. Texas Hold'em, Omaha and Omaha Hi/Lo are the three chief flavors to bring out the best taste of Poker tournaments at Bovada. This platform also lets you stake real money in three different betting structures, namely, No Limit, Pot Limit and Fixed Limit. Sit-and-Go Tournaments: Sit-and-Go Tournaments are the perfect pick for players looking for the thrill of fast-paced Poker gaming. The minimum number of players required for these tournaments to start is equal to 2 whereas the maximum is equal to 45. With buy-in ranging from $1 to $200, you can pick games like Texas Hold'em and Omaha. Following are the different types of Sit-and-Go Tournaments wherein you can try your fortune – Deep Stack, Satellite, Turbo, Double Up, Triple Up Hyper Turbo. $100K Guaranteed Poker Tournament: The biggest guaranteed tournament of the week at Bovada Poker is $100K Guaranteed Poker Tournament which is scheduled on every Sunday afternoon at 4 PM ET. As the name suggests, this tournament gives away a guaranteed prize pool of at least $100,000 with the first rank-holder taking home a minimum of $20k. Jackpot Sit & Go: For players who intend to play for some serious cash but the lack of time and poker expertise hold them back, don't worry as Bovada Poker has got you covered with its Jackpot Sit & Go tournaments. Designed to be the quickest way to a Poker payday, Jackpot Sit & Go tournaments follow a 'hyper turbo' structure, thus, blinds increasing every 3 minutes. The buy-in for this tournament ranges from $2 up to $60. The prize pool for this tournament is determined randomly by a spinning reel once all three players register for the game but the best part is that you can win up to 1,000 times your buy-in. How to Get Started with Jackpot Sit and Go at Bovada Poker? 1) Login to your Bovada Poker account. 2) Choose 'Jackpot Sit & Go' from the tournament types in the Poker software. 3) Once the third player registers at your table, you'll see the spinning reel turning in order to determine the prize pool up for grabs. Anonymous Tables: The most intriguing feature of Bovada Poker is that it lets you play incognito at its Anonymous Tables. With the privilege of such anonymity, you can actually start with a clean slate. None of your opponents know you, your Poker style or your capabilities with respect to the game-play. Every time a new game starts, the feature of new anonymous table leads to the creation of an equal playing field for everyone, similar to the environment of a live casino. Zone Poker: The fun of Poker is fast-paced with the exclusive Zone Poker of Bovada wherein players can indeed cut down on the time spent waiting for the folded hands to end and new cards to be dealt. This is how it works – The moment you fold a hand at Bovada Zone Poker table, you're immediately redirected to a new table with new players and new cards, thus cutting out on the time spent waiting for the folded hands to end and new cards to be dealt. CHECK/FOLD NOW or FOLD NOW button lets you fold hands and move to a new table with new cards much faster than ever before. Quick Seat: Have a smooth and seamless Poker adventure at Bovada Poker with its Quick Seat feature, which is developed to get you seated at a cash game table in two simple steps. This feature also entirely transforms Online Poker into a Live Poker Room by letting you grab a seat at the next available table. Customizable Poker Table Skins: Bovada Poker allows you to select enhanced layouts and animations with its Customizable Poker Table Skins. A Racetrack theme in six colours including red, blue, green, emerald, orange or pink is on offer along with sports stadium themes like soccer, football, baseball, basketball or hockey. So create your own magic by personalizing the table at which you are playing and in order to do so, select Settings → Table Settings and browse through the various options by using the preview option. Customizable Playing Cards: Not just Poker Tables but playing cards are also customizable at Bovada Poker. It is indeed a great way to let players intensify their gaming experience by letting them choose the dynamic designs to enhance the aesthetics of their playing cards. Rabbit Cam: With the Rabbit Cam feature of Bovada Poker, you can now smartly deal with your curiosity of 'What would have been the next card'. When a hand completes after the Flop or the Turn, but before the River has been dealt then with the Rabbit Cam feature you can see what the next card dealt would have been. In-Software Online Casino Games: Last but not the least, the Poker software of Bovada is not all about Poker games. Yes, we aren't kidding! Apart from an exciting collection of Poker variants and tournaments, the Bovada Poker Software is packed with some high-quality online casino games including Video Slots, Progressive Jackpots, Roulette, Blackjack, Baccarat, Video Poker, Craps and dozens more games. Who doesn't like free lunches! At Bovada Poker, both new and existing customers are rewarded with No Deposit Bonus time and again. The more loyal you are towards the brand, the higher are your chances to get your hands on generous No Deposit Offers. Login to your account to know your bonus code and the share of No Deposit Required Offer you are eligible for. Bovada Poker offers Reload Bonuses on monthly basis in order to fuel up your pockets so that you never run out of real money and motivation to play your favourite Poker Tournaments. Keep an eye on the 'Promotions' tab of your player account in order to find your Reload Bonus code. How to play Poker on Bovada? Before sitting down at tables of Bovada Poker, you need to register for a real-money account which is a matter of few minutes and absolutely free. Navigate to the official site of Bovada Poker, click on 'Join' button and follow the on-screen prompts to fill in the registration form. Once that is done then download and install the desktop Poker Client of Bovada if you are playing on your desktop/laptop. You can find the download-able software for Windows and MAC under the 'Play Poker' tab on the site. How to play Bovada Poker on mobile? There is no separate Bovada mobile poker app available for download as of now. So, in order to play Poker games at Bovada from your mobile device, follow the same steps that you use for playing games on your desktop simply by replacing the devices. How do Bovada Poker bonuses work? Bovada Poker offers a decent number of bonuses and promotional offers to enhance your play at different Poker Tournaments. Each bonus comes with its own terms and conditions (like promo code, wagering requirements, expiry date and bonus value) which can be checked by clicking on that respective offer. Despite of losing its Kahnawake Gaming Commission (KGC) license, Bovada Poker offers a safe and secure environment to players. The official site of Bovada is encrypted with the latest SSL technology which ensures safety of data exchanges happening over the website. Which Poker games can I play at Bovada Poker? At Bovada Poker, you can play all Texas Hold'em, Omaha and Omaha Hi/Lo on both desktop and mobile devices. Is Bovada Poker safe for Bitcoin payouts? Earlier when Ignition used to handle the Bitcoin withdrawals for Bovada Poker, we were left a little disappointed but now since the real king is back, there's no other brand to reach near the Bitcoin payout speed of Bovada Poker. Also, this brand ensure full safe and secure payouts with no delays. How can I play online casino games in Bovada Poker Client? In order to start playing your favourite online casino game in Bovada Poker Client, you need to be logged in to your player account. On the top-left corner of your account's homepage, you'll see the menu displaying different Poker games. While scrolling down the menu, you'll find casino games. Tap/Click to choose and you'll be shown a list of online casino games that can be played in Bovada Poker Client. I am so dumbstruck. Full on man. Whr ws I hiding bfre dis ! I just found this site a few months ago and I live here in the USA. Seriously man am I surprised ! I just loved everythng abt dem.The offers, the free games. Even the site theme was cool. Bt d best thng was that I didn’t have 2 wait for my withdrawals. Whenever I was out of cash or something, I jst simply put in a withdrawal request and man are dey fast ! Best. Damn. Poker. Site. Ever. Hallelujah ! ! Please enter your review for the Bovada Poker.